You can opt-in to the DNA Relatives feature which allows you to find and connect with genetic relatives and see specific DNA segments you share with them. The DNA Relatives tool can identify relatives on any branch of your recent family tree by taking advantage of the autosomal chromosomes—the 22 chromosomes that are passed down from your ancestors on both sides of your family—and the X chromosome. 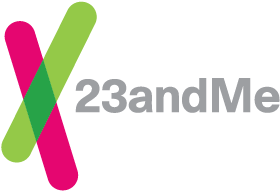 If one or both of your biological parents is a 23andMe customer, and you are sharing with them, DNA Relatives can determine whether a match is likely to be on your mother's side or your father's side. You can then filter your matches by which side of the family they’re on. This can help narrow your search if you’re looking for a common ancestor with one of your matches or surface certain matches. The Ancestry Composition report uses DNA you inherited from both sides of your family and estimates the proportion of your DNA that comes from each of 45 worldwide genetic populations, offering a detailed view of your ancestry from before ocean-crossing ships and airplanes were on the scene. The report also compares your DNA to individuals of known ancestry from over 1,000 countries and territories in Europe, Africa, the Americas, Asia, and Oceania, telling you more about where your ancestors may have lived within the last 200 years. You’ll get an extra result! You'll be able to see the Parental Inheritance section, which shows the contribution of your father to your ancestry on one side and the contribution of your mother to your ancestry on the other. We can't provide these results if you don't have a parent connected. Learn more about Parental Inheritance. Connecting with a parent may also increase the resolution of your assignments. That translates into better Ancestry Composition results, in the sense that you might see more assignment to the fine-resolution ancestries: more Scandinavian, less Northwestern European. Learn more. The Share and Compare Pedigree allows you to trace the flow of your ancestry and traits* through each genotyped generation. If you have a biological parent who is also in the 23andMe database and sharing with you, you can see which ancestry and traits you inherited from your parent. The more generations you have genotyped, the further back you can trace your ancestry and traits. *Reminder: If you purchased the 23andMe Ancestry Service, you will not see health or traits reports in your account. Additionally, if a female connects with her father via DNA Relatives or Your Connections, her Paternal Haplogroup report is automatically updated to show his paternal haplogroup. The Paternal Haplogroup report traces the path of her paternal-line ancestors over tens of thousands of years.